With over a decade of experience within the hospitality industry, Brittany Santore was the right person to hire when the firm was seeking an administrative assistant. Corporately trained, her restaurant industry experience allows her to effectively communicate with the firm’s extensive database of restaurant clients. As a customer support person for the firm, Ms. Santore is incredibly personable and understands the concerns and demands of the restaurant client. Ms. Santore has adept technical awareness and possesses a wide-range of computer skills which enable her to assist in all facets of the company’s business. Her duties include client services, administration, marketing, database development as well as assisting with marketing and transaction management. 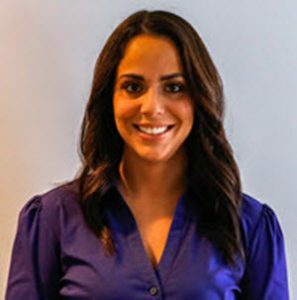 Ms. Santore has obtained her New Jersey Real Estate License, rounding out her skill set within a hospitality centered commercial real estate company. Ms. Santore is an additional contact person for administrative and client support inquiries.